What is AEA K-12 Online? Another Moodle Moment. Our latest screencast gives an overview on the process of setting up and using groups within Moodle. It also previews the look and feel of Moodle 2.7, which we will be updating the K-12 server to on June 27. Learn How to Flip Your Classroom! AEA PD Online instructor & Grundy Center teacher/tech coordinator Bob Munson is at it again! He is offering an online course for teachers on the cutting edge of instruction. Have you heard about Flipped Learning, the instructional model that blends online instruction into your face-to-face classroom? What's more, have you thought it sounds promising, but seemed to hard for you to learn? This course is for you. Flipped Learning shifts direct instruction outside of the classroom to the online environment, opening up time in-class to be better utilized. Check out the video below from science teacher Aaron Sams as he showcases how it works in his classroom. The course is coming up quick, but it isn't too late to sign up. It starts May 26 and goes through June 30, available for 2 license renewal or graduate credits. To register for the class, click here. Looking for another option? Check out our popular MOLLIE: Blended Learning course! The MOLLIE (More Online Learning for Iowa Educators) series helps teachers with the process of blending your classroom instruction, and flipped learning is one of the focal points. There is a section that starts June 11. Everfi is dedicated to providing teachers with quality content that can be used with students in ablended classroom. The content is engaging and interactive and most importantly focused on helping students learn critical skills that they will need to be successful in the world beyond school. To Learn more view AEA PD Online's: LIVE! event featuring EverFi's courses. Once students complete the question(s), it immediately allows teachers to see, review, and save their responses. Translation-Students can choose to read or listen to questions in a variety of different languages. Draw a response-Allows students to draw a diagram or picture that illustrates their answers. Check out How to Get Started With InfuseLearning by Infuse Learning on Snapguide. New on our AEA K-12 E-Curriculum Catalog is a course in Digital Citizenship. 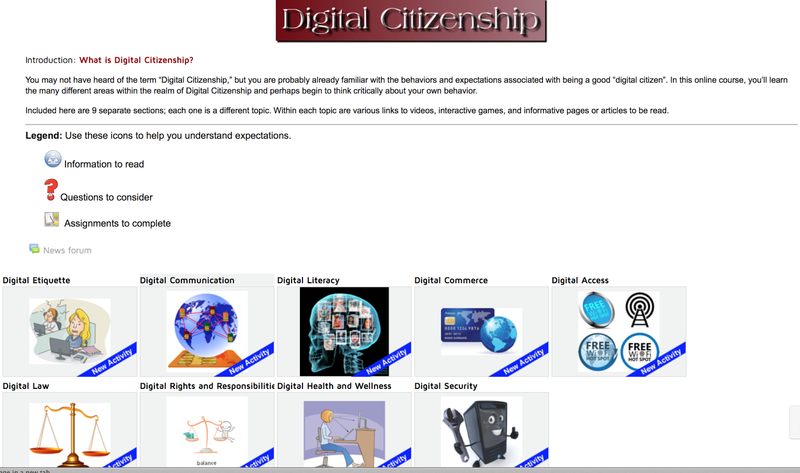 Created by the Heartland AEA technology integrationists in partnership with Johnston CSD, the Digital Citizenship course helps students understand the 9 principles of digital citizenship. You can access it on our statewide Moodle server, or download it and use it on your own LMS. For questions about the content, please contact Denise Krefting. Atomic Learning launched it’s newest set of tutorials, workshops, and professional development resources focused on implementing mobile learning the the Common Core in literacy and mathematics. View this short video to learn about their newest resources. Atomic Learning is brought to you by Iowa's AEAs. To access its resources, go to iowaaeaonline.org and select "Atomic Learning".